We offer free shipping on orders over $75, and flat rate shipping of $9.00 on orders under $75*. Free and flat rate shipping generally go by USPS, so it should not be used for time sensitive orders. Please allow up to two week for delivery, especially if you're on the west cost. *This does not apply to freight shipments, which require a quote and a special link to make the purchase. In addition to free and flat-rate shipping, we offer UPS Ground shipping and FedEx Ground shipping depending on the location. UPS Ground offers reliable and predictable service that you should use for relatively time-sensitive orders. If you need your order by a certain day, please email us for an estimated delivery date. Orders ship from various locations around the country, and the delivery date is determined by availability, processing time, and transit time. Typical processing times for a given product can be found under the "Shipping and Availability" tab and/or in the product details section found on the top right of the product page. Orders typically ship when all items are available. If your order includes an item that "Usually Ships in 1 to 2 Business Days" and one that "Usually Ships in 6 to 8 Business Days," you should expect your order to ship 6-8 business days. 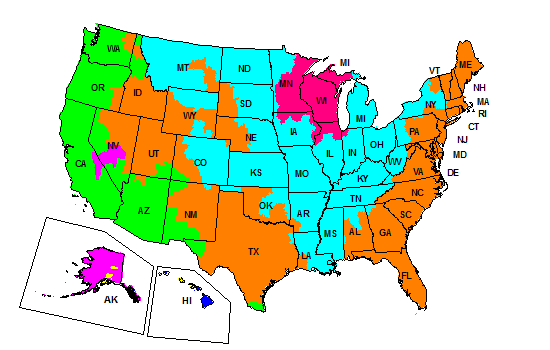 Our standard shipping area is the contiguous 48 states. 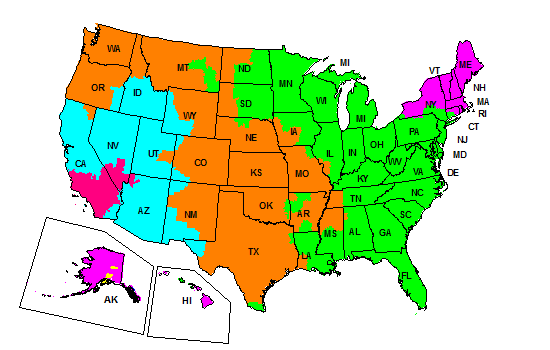 While we can ship to Alaska and Hawaii, the cost to do so is substantially more than the rates calculated and/or listed for the contiguous 48 states. Please email us for a quote. Below are transit time maps for items that ship via FedEx Ground and UPS Ground to help give you a general sense of when you'll receive your items. Please note that shipments that go via freight have different transit time schedules.